-Peel the skin of tapioca (both the brown and thick pink color)until you reach the white part. -Cut in cubed pieces,wash under running water until the water turns clear from milky white. -Boil the tapioca in a thick bottomed vessel with enough water(water level above the tapioca cubes).Wait till it starts to boil,let it boil for 3 minutes.Remove from flame,drain the water completely. -Drain the water and serve with chutney or spicy fish curry or mulakku dip!! -Allow to cool and grind the roasted chillies,shallots,and tamarind to a coarse paste without adding water,if required add the 1 tbsp of hot water. -Transfer the mixture in a bowl,add vinegar,salt and oil used for frying.Mix and let it stand for 5-7 minutes to enhance the flavors. -Serve it with kappa puzhungiyathu(boiled tapioca) /idlis/ dosas/ curd rice,Enjoy!! * You can use equivalent amount of red chilly powder too and can use chopped onion instead of shallots but it tastes best with the original ingredients mentioned. The chutney looks so yummt. Excellent color. hi julie, guess what..we had kappa today too...your dish looks yummy. i like boiled tapioca.. but never had with chutney..
Tapioca and chutney seems to be a delicious combo..Love tapioca. My mom used to make a stir fry with it.. Very new to me.. must try! 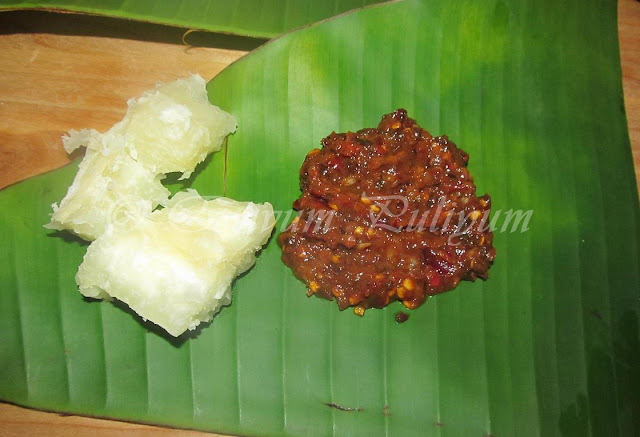 Oh no..this is not fair Julie..Torture..Real yummy.especially that chammanthy.vayil vellamoorunnu. Oh kothiyavunnu Julie.. now i have to get some and make it. its been a while. Looks very delicious, new to me. Julie, the chutney brought back so many memories. Kappa puzhiyanthum chammanthium adipoli Juile. looks yummy but what is tapioca ? a new recipe to me.. looks spicy and defintely shd taste gr8.. thanks for sharing.. This is a very interesting recipe. Will have to try it. very yummy and delicious combo..
hi julie, this looks very yummy-nice and spicy. 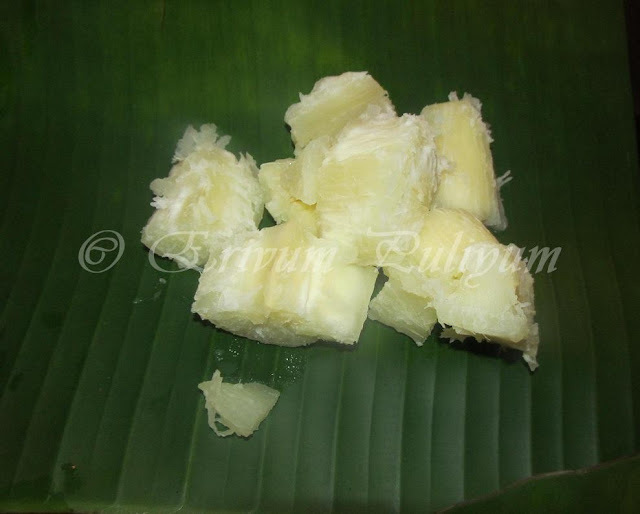 we also do boil tapioca and eat with grated coconut mixed with a little sugar. a little sweet but yummy too. 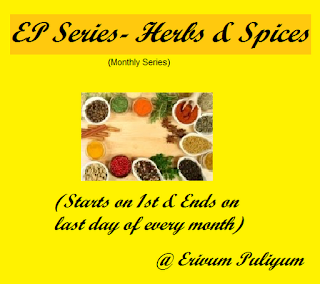 love to try out yours with curry leaves added. 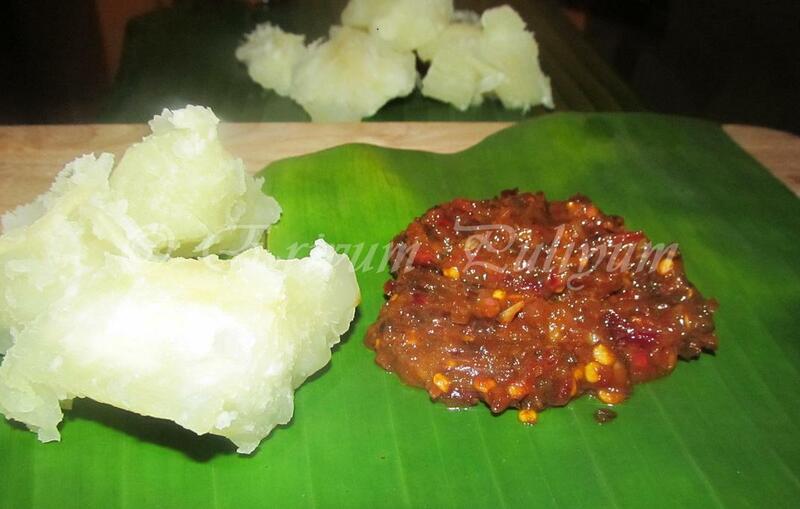 wowww next time i will make this chutney with kappa puzhukku..
We grew tapioca at home when we were kids! But we mainly made chips out of them! Oh my gosh Julie, this literally is making my mouth water to overflow. Chammanthi looks great, served on the banana leaf, it is great eats, indeed! A very good color and looks great. Gosh!! my mouth is really watering Julie! 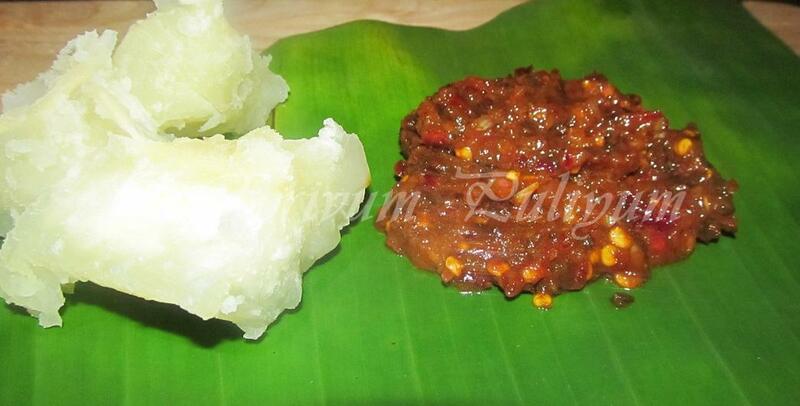 Lipsmacking chutney..I feel like having this right now!